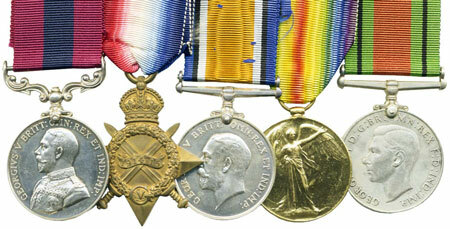 There were 165 lots of medals and militaria in this sale. 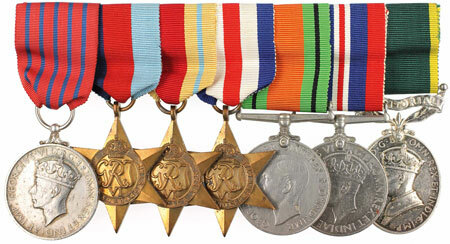 The highlight of the sale and a real Xmas good news story was the WW2 Malta Blitz George Medal group to Gunner Bernard Allen Ridgeway which sold for £3894. The successful purchaser was the recipient’s daughter who told us her father had sold the medals years ago to enable him to purchase a pair of spectacles. There were tears of joy as the hammer came down and she realised the medals were going back home. Lot 27, a Boer War & WW1 group to Sergeant Kirton RGA and A&SH was unusual in that it was sold with a 92 page notebook which had been written as a diary of his experience in South Africa during the Boer War entitled Diary of My Fights & Travels in S. Africa during the War of 1899-1900, 01-02. He included very detailed descriptions of the Battles of Modder River, Paardeberg and actions at Welkom Kop, Spitz Kop, Bloemberg, Heilbron, Wittebergen etc. This very scarce other rank’s campaign record ensured a healthy realisation with the lot selling well above estimate for £507. The highlight of the WW1 section was Lot 40, a 1916 trench raid DCM group to 2 Lieut Mark Richard Pinkney 18th Bn Durham LI. 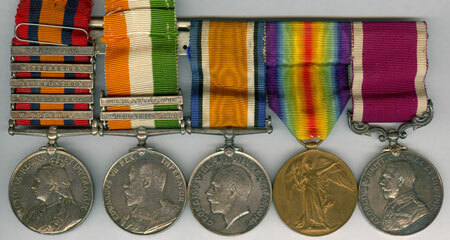 The DCM was awarded when serving as a Cpl near Neuve Chapelle “For conspicuous gallantry. When in a bay, on each side of which the enemy had penetrated, he cleared one side by shooting round the traverse with his revolver, and then, turning to the other side, shot two of the enemy who were taking a man prisoner.” He was commissioned in October 1917, wounded and taken Prisoner of War on 28th March 1918 and this story helped the group to sell to a room bidder for £2183. There were 14 lots of militaria and Lot 154 was a miscellaneous collection in 2 boxes which sold for over twice the estimate at £247 proving that there is real benefit in viewing lots in person.